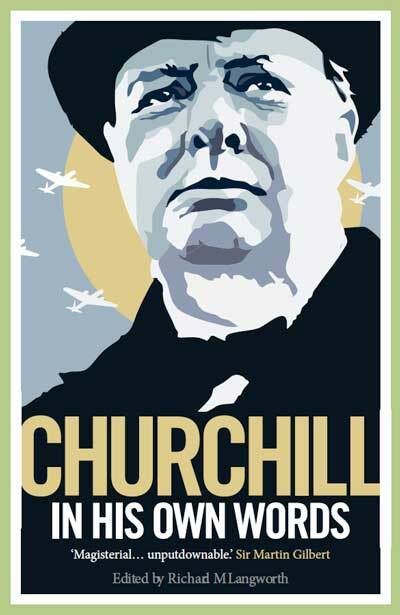 For a cen­tu­ry it has been part of social­ist demonolo­gy that Churchill sent troops to attack strik­ers dur­ing a 1910 min­ers’ work stop­page in Tony­pandy, Wales. 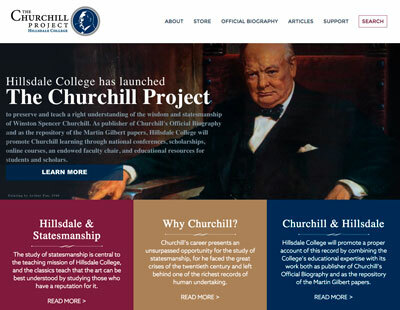 In 1967 an Oxford under­grad­u­ate wrote that Churchill faced down strik­ers with tanks. 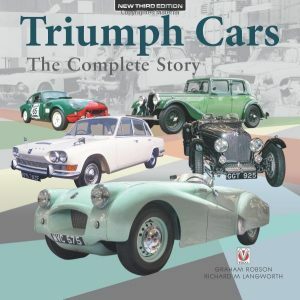 This was very pre­scient of him, since tanks didn’t exist in 1910. 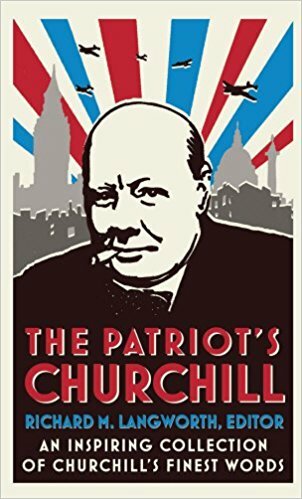 And for half a cen­tu­ry Churchill’s defend­ers, begin­ning with his son and includ­ing this writer, insist­ed all this was a lie. Churchill, were said, deferred from using troops against the minework­er strik­ers and left law enforce­ment to the local con­stab­u­lary. Out of this has grown a con­sid­er­able mud­dle, to which I have added my share. 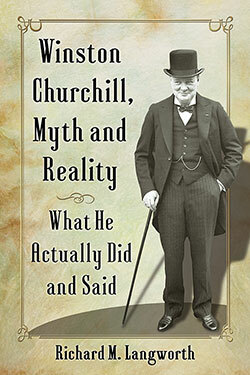 So this is to cor­rect the record: Churchill did send troops to areas con­tain­ing strik­ers and riots in 1910-11. He with­held their deploy­ment in 1910, but in 1911 their pres­ence at one loca­tion result­ed in fatal­i­ties. A coal min­ers’ strike grew out of dis­putes over wage dif­fer­en­tials for work­ing hard and soft seams. 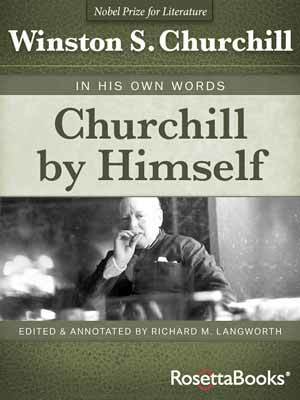 Up to 30,000 min­ers were involved, and local author­i­ties appealed for troops to the Sec­re­tary of State for War, Richard Hal­dane, who con­sult­ed Churchill, then Home Sec­re­tary. They agreed to send police, but to sta­tion some troops near­by if worst came to worst. Writ­ing to David Lloyd George the fol­low­ing spring, Churchill expressed his wish to help the min­ers. The gov­ern­ment, he said, should meet their requests for stronger safe­ty reg­u­la­tions and inspec­tions, giv­en the high­est death rates since min­ing sta­tis­tics had begun—and finance the expense with a sur­charge on mine­own­ers’ roy­al­ties. Nine months lat­er, a nation­al rail­way strike broke out when rail oper­a­tors refused to rec­og­nize the unions as nego­tia­tors. This time troops arrived at numer­ous scenes of dis­tur­bances around the coun­try. Most­ly they act­ed with cau­tion, and when they did fire, they usu­al­ly aimed over the heads of crowds. Lloyd George set­tled the strike by con­vinc­ing the rail­ways to rec­og­nize the union nego­tia­tors. 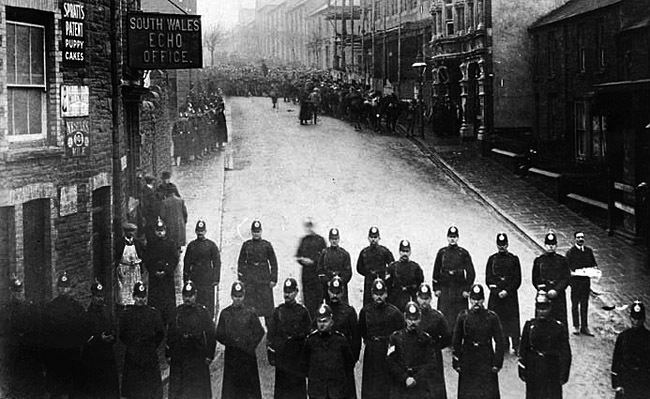 But in Llanel­li, Wales—two days, iron­i­cal­ly, after the strike had ended—the only fatal­i­ties from the use of troops occurred. Riot­ers held up a train and knocked the engine dri­ver sense­less. Sol­diers attempt­ed to clear the track but loot­ing began, and they fired into the crowd, killing two or four riot­ers (accounts vary). 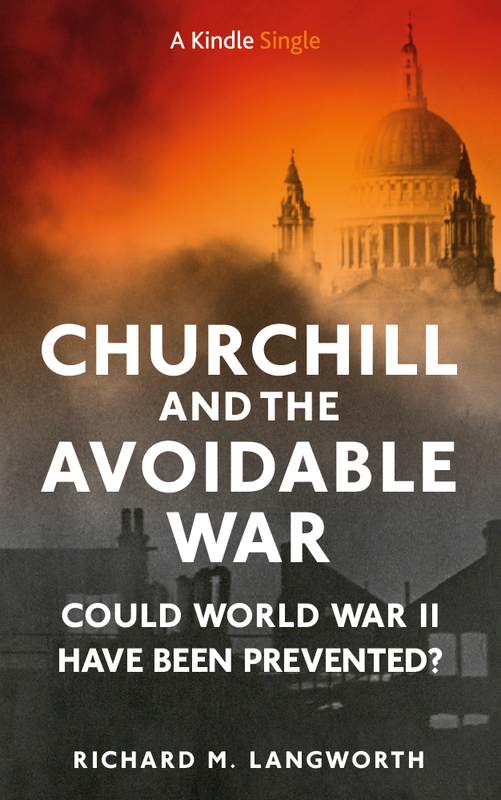 For all the crit­i­cism that came Churchill’s way from the Labour mem­bers of Par­lia­ment for his atti­tude to the use of troops dur­ing this strike, there is lit­tle doubt that the King’s telegram rep­re­sent­ed pub­lic opin­ion at the time. But Labour was not to for­get….